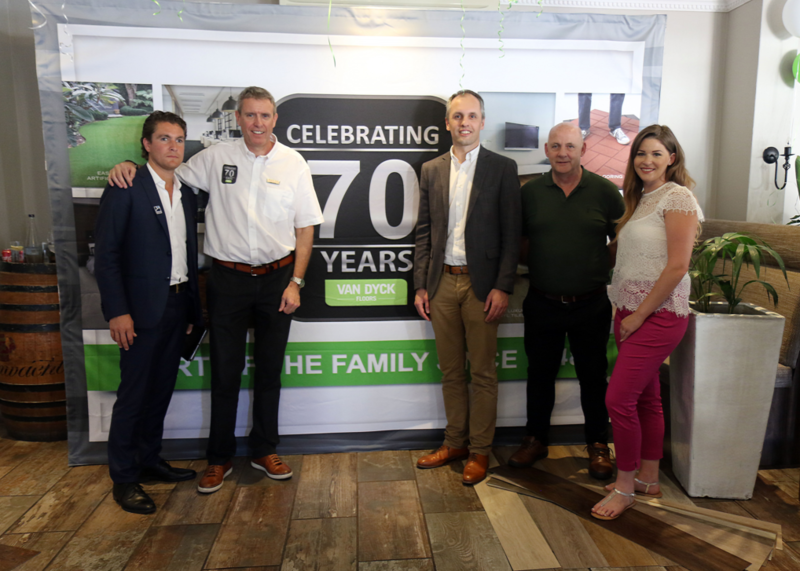 Van Dyck Floors embarked on a countrywide roadshow during the month of November 2018. 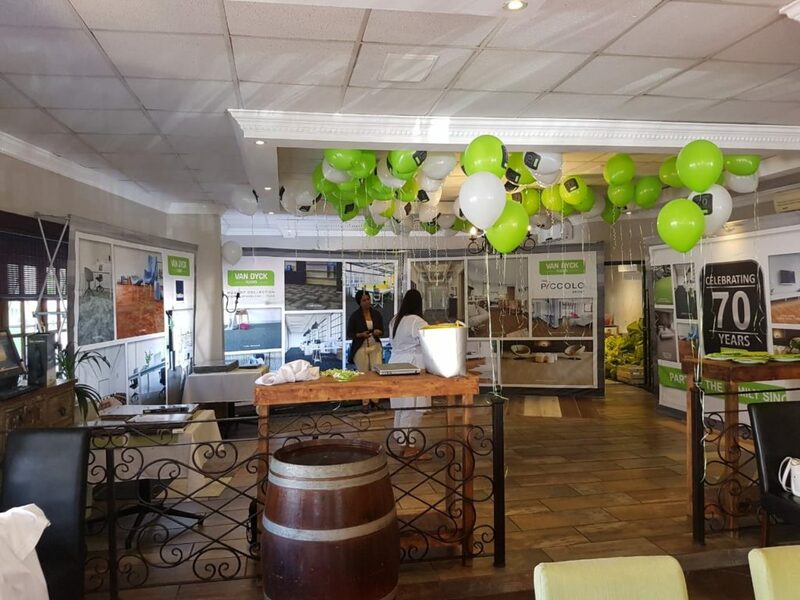 The roadshows, which were held in East London, PE, Cape Town, Durban, Johannesburg, Pretoria, Nelspruit and Bloemfontein, formed part of the company’s 70th anniversary celebrations and one of their main goals was to show appreciation to their loyal customers. The company is the oldest carpet manufacturers in South Africa and is owned by PFE International, the holding company of the Zarrebini family, whose shareholders have more than 40 years of international experience in the manufacturing of carpets, as well as fibre and yarn extrusion. Van Dyck Floors boasts an impressive and wide range of flooring products, including tufted and needle punch carpets in broadloom and tiles, rubber underlays, tiles and pavers, the increasingly popular artificial turf, Easigrass, as well as a wide range of vinyl flooring and laminates. One of the things that sets the company apart from its competitors is its ability to stay ahead of the market. Van Dyck Floors has acquired new equipment and introduced the above-mentioned revolutionary new products to the market through the financial backing of PFE International. Despite enhanced automation within the business, it has retained most of its employees, all of whom receive ongoing training to ensure they are on top of the newest technologies and market trends. Some of the trendy products the company has introduced include very soft carpets like Romeo and Frivola, two ultra-soft-touch carpets that have an enticing tactile quality and are currently increasing in popularity. Another leading product is the new Easi-Windsor artificial grass range made from a newly developed WW yarn, which creates a soft-feel synthetic turf with improved resilience and durability. “Three key components in any modern organisation are quality, affordability and sustainability. The fact that Van Dyck Floors ticks all three boxes is evident in the company’s ISO 9001:2008 quality assurance, and from an environmental perspective, it is also one of a few international organisations with ISO 14001, ISO 14064-1 and Carbon Trust accreditation,” says Bernd. For more information, contact Van Dyck Floors on +27 (31) 913 3800 or via www.vandyckfloors.co.za.